Thank you to all sponsors that help underwrite an amazing experience at The Financial Brand Forum. With 1,800+ signed clients, MX enables you to collect, enrich, present, and act on data, giving your users a 5-star digital experience. We offer data aggregation, data cleansing, next-gen PFM, mobile banking, personalized marketing, and more — all built to drive up user loyalty and increase ROI in the process. Harland Clarke is a leading provider of omni-channel, customer engagement solutions that help connect businesses and people how, when, and where it matters. The company offers payment tools such as checks and cards; lifecycle marketing solutions; and promotional products for businesses – deploying these solutions holistically, across print, phone and digital channels. 360 View is the growth platform developed for financial institutions, providing the necessary tools to maximize your team’s performance. Our solution goes beyond CRM, providing insight into customer profitability, automating marketing campaigns, and tracking goals and incentives, all while providing richer relational experiences personalized to every customer’s unique needs. Adrenaline is an experience design company that creates and implements end-to-end branded experiences through creative and environmental design. We enhance our clients’ customer experiences across virtual and physical channels, from their branding and advertising to design and technology in their spaces. After transforming an organizations’ brand, Adrenaline extends it across all touch points — from employees to the market to in-store environments. And, we focus on serving industries that sell human experiences including financial, healthcare, sports and entertainment. Kony DBX is the banking and financial services arm of Kony, Inc. and is a globally recognized leader in digital banking transformation. With a portfolio of modern applications powered by the industry’s most recognized platform, Kony DBX enables financial institutions of any size to accelerate innovation — without compromising what’s critical. The world’s leading banks and financial services firms trust Salesforce as technology advisors. We help them navigate the changing technology and regulatory landscape to personalize relationships at scale and connect with their customers in a whole new way. Alkami Technology, Inc. is a leading cloud-based digital banking solutions provider for community and regional banks and credit unions in the U.S. Alkami evens out the modern banking landscape by delivering bold and innovative digital capabilities to financial institutions of all sizes. Alkami’s award-winning culture pairs the best people with the most remarkable forward-thinking clients. Their authentic bonds between Alkamists and clients illustrate why they remain the gold standard in digital banking. inLighten is a leading provider of digital media solutions including traditional and interactive digital signage, self-service tablets and kiosks, video walls, check-in systems, on-hold and environment audio and more. Over 2,000 institutions in the U.S. and across the world engage their audiences with inLighten products each day. Intuvo provides CRM & Marketing automation software to Mortgage Bankers and Credit Unions. Our software pulls customer data from your LOS and core / host Databases, analyzes them to determine how to best upsell or move the customer forward in their transaction and then automatically executes a marketing plan consisting of emails, direct mail pieces, text, mobile updates and personal calls from their trusted advisor. Q2 is a secure, cloud-based digital banking solutions company headquartered in Austin, Texas. Since 2004, it has been our mission to build stronger communities by strengthening their financial institutions. Our digital banking solutions for deposits, money movement, lending, leasing, security and fraud enable financial institutions to deliver a better financial experience to their account holders. Our bank and credit union customers, along with emerging financial services providers, also benefit from actionable data analytics and access to open technology tools. Aavri is a digital services design and build company working with clients in the financial services industry. We create and manage digital services inspired by the desires, needs, and aspirations of customers that make our client’s organizations work successfully. We help you step back and reimagine the digital services your customers should have and establish a clear strategy for a compelling future customer experience. We then create a roadmap for building toward this future state and driving business growth. We combine decades of knowledge about exceptional online customer experience with a deep understanding of what a particular bank, insurer or investment company needs. AdQue offers innovative digital signage, video walls, customized interactive touch screens, concierge check-in tablets, and engaging overhead music and on-hold messaging designed for all your marketing goals. Eliminate hassle, build community, and track user needs with invitations to touch, explore, and communicate. We’ve been revolutionizing digital signage since 1998. Our strong content and technology background make AdQue your choice for reliable solutions. Sense and adapt like never before. Achieve smarter, more trusted interactions with Edge-to-Edge solutions from AT&T Business. Integrate our unique ecosystem of technology and expertise with our highly-secure global network to obtain near real-time intelligence from every corner of your enterprise. Backbase is a fast growing fintech software provider that empowers financial institutions to accelerate their digital transformation and effectively compete in a digital-first world. Our software, the Backbase Omni-Channel Banking Platform, unifies data and functionality from traditional core systems and new fintech players into a seamless customer experience, across all digital touchpoints. Cardtronics is the trusted leader in financial self-service, enabling cash transactions at approximately 230,000 ATMs across 10 countries in North America, Europe, Asia-Pacific, and Africa. Leveraging our scale, expertise and innovation, top-tier merchants and businesses of all sizes use our ATM solutions to drive growth, in-store traffic, and retail transactions. We help companies find customers. With 3,000+ clients, 120M unique household behavior profiles including financial and investment behaviors, 2000+ privacy compliant digital audiences and methodology honed over decades, we provide smarter targeting. Sell Smarter Craft a story that leads to sales using our unique research combined with demographics and lifestyle/media behaviors to understand your best customers, identify cross-sell opportunities, measure market penetration and find new customers. We’re a leading insurance, financial services and technology company focused on helping people achieve financial security through all life stages. We offer consumer and commercial insurance, retirement and investment solutions; and business solutions including data and analytics, lending capabilities and marketing services. 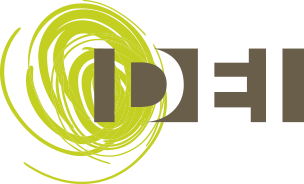 DEI is a national design/build company that goes beyond the expected to turn your project into a growth opportunity. We create sales environments by incorporating all aspects of facility planning, from site search & selection, strategic analysis & planning through architecture, construction, interior design, branding & retail concept design. At DEI, we design and build to grow your business. Doxim is a leading provider of SaaS customer engagement software for banks, credit unions, and wealth management firms. Our Customer Engagement Platform helps transform customer experience, increase loyalty, and address key digitization challenges, from automated onboarding, to personalized communications and anytime, anywhere content access. EVERFI is the leading education technology company providing learners of all ages education for the real world through innovative and scalable digital learning. EVERFI powers community-focused financial education for 750 financial institutions across the country. Founded in 2008, EVERFI is fueled by its Software-as-a-Service (SaaS) subscription model and has certified over 20 million learners in critical skill areas. Some of America’s leading CEOs and venture capital firms are EVERFI investors, including Amazon founder and CEO Jeff Bezos, Google Chairman Eric Schmidt, Twitter founder Evan Williams, TPG Growth, The Rise Fund, Advance Publications, Rethink Education and Rethink Impact. The EVERFI Education Network powers more than 3,700 partners in their education initiatives across all 50 states and Canada. Learn more at everfi.com. Evolution Group is a collective of forward-looking companies that provide transformational marketing results for clients across the globe. Our companies share the belief that innovation, creativity, and technology can solve the most pressing business challenges. We are committed to leveraging the best of breed in industry and service to deliver what are truly the right solutions for our clients. Extractable is a strategic consulting, design and data analytics agency exclusively focused on the future of financial services. Our team of strategists, designers, data analysts and technical experts share one vision to optimize customer intelligence and build experiences that drive customer engagement and turn every digital touchpoint into measurable business growth. Finastra was formed in 2017 by the merger of Misys and D+H and unlocks the potential of people and businesses in finance with a platform for open innovation. Create the future of your financial institution with Finastra and now Malauzai Digital- complete financial software solutions trusted by thousands of U.S. community banks and credit unions. Fiserv drives innovation in Payments, Processing Services, Risk & Compliance, Customer & Channel Management and Insights & Optimization. Our solutions deliver intelligent experiences in banking, payments, engagement and security to help clients provide financial services at the speed of life. Visit fiserv.com to learn more. Get to know Glory, the leader in cash automation technology. Our technologies and services help business in more than 100 countries optimize the handling, movement and management of cash. While we span the globe, employing over 9,000 worldwide, GLORY is built on a rich customer-focused, technology-driven heritage spanning over a hundred years that serves National chains to community branches. 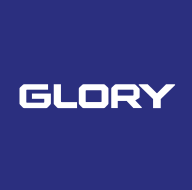 GLORY – leads the market with 65% share ownership, globally* and was named #20 in the 2018 IDC Fintech Top 100. Being the consistently highest rated cash technology solutions company is something we’re excited about this year too. Hootsuite is the most widely used platform for managing social media, loved by over 16 million people around the globe and trusted by more than 80% of the Fortune 1000. Hootsuite currently enables more than 850 financial services organizations and helps them turn social into a business advantage by simplifying social marketing, managing risk, driving revenue and building engaged and connected communities. To learn more, visit hootsuite.com/financial-services. image.works specializes in providing efficient and effective marketing products to credit unions and banks. Since 1995, we have thrived on a reputation for unsurpassed customer service and premium products at unbelievable, no-surprise prices. With superior knowledge of the industry, we write, design, print and distribute marketing materials that bring results. Kane Graphical designs, fabricates and installs eye-catching visual merchandising displays at financial institutions nationwide. Kane offers a variety of architectural, marketing and compliance signage and displays, designed to reach customers with creative, targeted messaging when they visit their bank and credit union branch. The firm offers unique Kane Graphical Poster Blocks™, an innovative display system comprised of quality graphics mounted to a series of 22-inch by 22-inch modular frames that combine to create impactful marketing messages designed to generate interest and boost the institution’s bottom line. Kasasa is an award-winning financial technology and marketing technology provider that helps more than 750 community financial institutions establish long lasting relationships with millions of consumers through its branded retail products and marketing automation capabilities and is now reinventing lending through its latest patent-pending offering, Kasasa Loans™. La Macchia Group is a comprehensive consulting and design-build firm. Our capable, experienced team provides thorough due diligence, strategic site selection, compelling design and rigorous project management. Our highly specialized experts create financial institutions that are brand-centered facilities tailored to meet our clients’ needs and exceed their expectations. LEVEL 5 is a complete design-build solution. We work exclusively with financial institutions in the development and implementation of branch and main office strategies. Our unique service model marries site selection with design-build to maximize business performance and ROI. We are builders of your future. At LexisNexis Risk Solutions, we believe in the power of data and advanced analytics for better risk management. With over 40 years of expertise, we are the trusted data analytics provider for organizations seeking actionable insights to manage risks and improve results while upholding the highest standards for security and privacy. Headquartered in metro Atlanta USA, LexisNexis Risk Solutions serves customers in more than 100 countries and is part of RELX Group, a global provider of information and analytics for professional and business customers across industries. Over 700 financial institutions in North America have trusted Marquis’ software and consulting solutions for over 30 years. Marquis features a robust offering of marketing and compliance data analytics, marketing automation tools, professional services, CRM software, Exam-ready compliance software, and a full array of analog and digital marketing tools including direct mail, email fulfillment, and website tracking. Mills Marketing is the go-to agency for financial institutions across the country looking to re-brand, grow market share and strategize for better ROI. With a team of former bankers, PR specialists, social media experts and a compliance officer– we have the expertise to take your marketing from good to great. At Mogo Interactive, we help our partners in financial services stay top of mind in the digital space. Our expertise, coupled with exclusive direct access to Google Marketing Platform’s cutting-edge technology, allows us to help your organization stay relevant in the fast-paced world of digital. By engaging your customers across display, video, social, mobile, & search, we drive results to help you achieve your marketing goals and grow your business. We are an innovative, client-centric design and architecture firm that has been the industry leader in financial institution design for over 100 years. PWCampbell, widely respected in the financial services industry, is a family-owned retail services and design/build firm. Founded in 1910, we provide retail branding, merchandising, digital marketing, planning, design and construction expertise to optimize branching efforts. We have the expertise to develop and implement impactful solutions for every sized project. RedPoint Global’s software solutions empower brands to transform how customer experience is delivered. RedPoint Global’s solutions provide a single point of control to connect all customer data, determine actions in real-time, and orchestrate interactions across touchpoints. Leading companies trust RedPoint Global to deliver highly personalized experiences that optimize customer engagement. Scandia is a boutique digital solutions agency that specializes in planning and building websites and apps for the financial industry. Our clients include banks (NASB), mortgage companies (BBMC Mortgage), insurance agencies (Gleaner Life) and investment banks (Lazard). SourceLink provides industry-leading database, analytics and production solutions for financial services companies. SourceLink works with over 250 banks & credit unions (including 4 of the 10 highest rated banks), and hundreds of lenders in the financial services sector. We utilize highly targeted marketing to execute coordinated, cross-platform digital and print campaigns. Acquire. Nurture. Retain. It’s what we do. StrategyCorps helps banks and credit unions nationwide enhance their checking accounts with mobile rewards like local discounts, cell phone protection, roadside assistance and other in-demand services that bring value to people’s lives. And with our CheckingScore analytics, financial institutions can easily understand how to use customer data to protect and grow their relationships with customers. TimeTrade helps financial brands optimize engagement throughout the customer lifecycle. Our Intelligent Appointment Scheduling solution leverages AI to inform scheduling strategies with real-time insights and deliver a more positive in-branch experience. Hundreds of forward-thinking banks and credit unions use TimeTrade to deliver the personalized attention expected by today’s on-demand consumers. Total Expert is a fintech software pioneer of the first modern, enterprise-level Marketing Operating System (MOS) that enables banks to create customers for life by blending human relationships with digital simplicity. We ensure banks stay ahead of how consumers expect to communicate, shop and manage their financial lives in the digital/social era. uncommn Marketing Partners is a modern marketing and web development agency that just gets it. From responsive, ADA-compliant websites to search engine marketing, social media strategy to brand management, we have decades of experience and expertise to help your brand look its best. We power financial brands with cutting edge marketing solutions for today’s financial marketing challenges. Whether its strategy, video, direct mail, printing, media buying, digital analytics or website development, our team of experts can do it all. Let’s talk about what our powerful solutions can do for your bottom line. The battle for growth amidst seismic digital and consumer shifts requires a new balance of analytical and creative approaches. Success comes from careful alignment of expertly managed data analytics, focused creativity, data-driven business strategies and game-changing competitive brand distinction. Our team of creative problem solvers, data analysts, idea-builders and strategists help our clients orchestrate enterprise-wide transformation that drives market-leading results. Baker Hill delivers expertise and best-in-class solutions in lending, risk management and analytics that drive growth and profitability for financial institutions. The Baker Hill NextGen® platform allows institutions to originate commercial, small business and consumer loans and manage risk on a single platform. Banzai provides the most comprehensive financial wellness solution on the market. With both adult and K-12 solutions, Banzai is now in over 50% of US high schools. Banzai won “Best of Show” at Finovate Fall 2018 for hands-on learning and interactive online simulations that have disrupted the industry. Bluespire partners with credit unions, banks, and wealth management companies to provide consumer engagement solutions through the integration of strategy, technology and content. Relying on our 35+ years of experience in the industry, we’ll help you create digital-first experiences, grow share-of-wallet and retain consumers, all the while accelerating your speed to market. Diamond Communication Solutions, an OSG Company, is a full-service partner in the creation, production and development of data-driven, highly personalized communications in print and digital response media. Serving a wide range of credit unions and banks, Diamond delivers targeted, relevant, accurate, and dynamic solutions in critical communications, direct marketing and fulfillment. Econocheck delivers bottom-line benefits to financial institutions by strengthening customer relationships and providing new fee income streams. Since 1973, thousands of financial institutions have profited from Econocheck’s data-driven retail checking strategies, direct response insurance programs, and identity protection services. Listening, delivering, partnering, growing – the Econocheck way for over 40 years. Epicosity is an ideas company that specializes in finance marketing, blending traditional services with a strong digital footprint. We’re thinkers. We’re dreamers. We’re storytellers, with a digital edge. We excel in creative development, digital strategy, video production, website development, PR and media buying and planning. With clients in 23 states and five countries (and counting), we have expertise in a variety of industries, including bank and financial institution marketing. Haberfeld is a data-driven consulting and marketing firm specializing in significantly increasing customer acquisition, core deposit growth and overall profitability for banks nationwide. Clients typically double new retail and business account openings through Haberfeld’s system of activities. iMakeNews Inc. (IMN) is a digital marketing company that delivers engaging email communications that educate and connect with financial institution customers credit union members and prospects. IMN offers a complete email marketing service with dynamic newsletters, extensive distribution capabilities, relevant content, and accurate behavioral analytics for every campaign. At Kadince, we build software help marketing and compliance teams work together and stay organized. Our software helps with community service (donations, volunteers, CRA, etc.) and task management (marketing projects, requests, campaigns, approvals, etc.). Look for a person in a green jacket or visit kadince.com to learn more. Kiosk & Display turns digital screens into windows of opportunity. We’re your full-service partners who plan the entire process, install the equipment, design the content, and manage and support everything with your goals and space in mind. You focus on growing your business while we deliver custom solutions that are made to engage your audience. That’s the difference between hiring a digital signage vendor and working with a trusted partner. L. Keeley Financial Facilities group brings to the table a wealth of expertise, experience, and innovative solutions. We are a proud plan-design-build firm offering the complete experience for financial institutions: strategic planning, architecture, and construction. Value added services include feasibility studies, market research & analytics, site selection & analysis, branding strategies, technological upgrades, and design development. Leadfusion increases revenue for financial institutions. Leadfusion’s CUSTOMERfirst® platform drives revenue by engaging consumers across channels and devices in the critical stages leading up to conversion. CUSTOMERfirst is the preeminent offering in the Financial Experience Management® category, delivering the seamless experience consumers expect from their preferred financial partner. Since 1995, Leadfusion solutions have engaged more than 1 Billion consumers with the tools and information they need to confidently make financial decisions. Over 300 financial institutions, including 8 of the Top 10 banks and more than 75 credit unions have trusted Leadfusion to educate and empower their customers. To learn more call 877.205.9825 or visit www.leadfusion.com. Momentum is a strategic design-build partner that takes a people-centric approach to helping credit unions and community banks thrive. POPio provides Video Banking Collaboration Software to help Financial Service companies connect with their consumers and enable highly-engaged interactions for personalized sales and service opportunities. Just as transactional video banking enabled a new level of service for basic monetary transactions, POPio enables a level of consumer experience and convenience for sales and service-based transactions. Imagine having a branch in the palm of your hand… that’s POPio Mobile Video Cloud. Raddon™, a Fiserv company, has been providing financial institutions with research-based solutions since 1983. Since we work exclusively with financial institutions, we understand the industry and can apply our practical know-how to the unique challenges and opportunities financial institutions face. We combine best practices in research and analysis with consulting and technology solutions to help institutions achieve sustainable growth and improve financial performance. Resonate is a pioneer in Consumer Intelligence Marketing, delivering deep understanding, dynamic insights, cross-channel engagement and analysis in a single SaaS platform. Leading brands, advertising agencies and political and advocacy organizations use Resonate to reveal and engage “The Human Element,” a deeper understanding of their target audience to uncover the values and motivations that drive consumer decisions to buy or support certain brands, products or causes. SilverCloud helps financial institutions by providing custom support answers that guide your consumers and employees from question to action to improve experience and productivity. SilverCloud’s Digital Support Center delivers support answers for web, mobile & online banking and SilverCloud’s Employee Support Center delivers policies and procedures in real-time. Social Assurance provides tools for financial institutions to Market with Confidence. From compliant social media management and digital monitoring to marketing records and reporting, Social Assurance has both the resources and expertise to support successful marketing management. 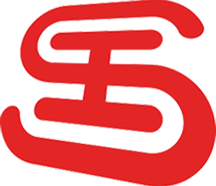 Team SI is a data-driven marketing firm made up of designers, strategists, and marketing specialists that help you create unique brand experiences for your customers using digital and social media platforms. Redmond: Successfully driving brand loyalty with innovative brand environment to enhance member experiences! 40 years’ retail experience specializing in financial institutions, provides us with knowledge of consumer purchasing habits and retail design strategies. 700+ financial projects completed. Real estate consulting and brokerage, financial facility design and branding, and construction services. When you partner with WordCom, you have an extension of your marketing team. We focus all our resources on the financial services industry and provide you with decades of industry expertise. With WordCom you get the most advanced data intelligence tools and the tracking metrics necessary to determine the success of your program. For 37 years WordCom has been providing cutting-edge solutions that allow our valued clients to grow deposits and loans, attract new customers, improve profitability and provide targeted marketing communications to existing customers as well as prospects. And, we do not require a CONTRACT. That means we are always looking for ways to improve results! Please stop by booth #314 to say hello. 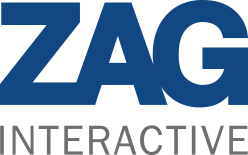 ZAG Interactive is a full-service digital agency specializing in website redesigns and marketing for banks and credit unions nationwide. Our 300+ clients partner with ZAG for digital strategy, digital marketing, custom design, custom development, copywriting, ADA conformance and much more. Americaneagle.com is an industry leader in professional website design, strategy, development, and hosting. We’re truly a one-stop shop offering a full range of solutions for anyone looking to succeed in their online endeavors. 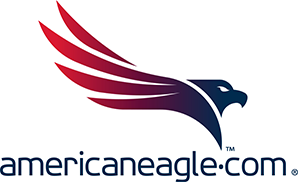 Americaneagle.com is a family owned, privately held company with a long history of profitability and stability. BankSight is The First Intelligent Banking CRM, 100% purpose-built for banks and credit unions. BankSight runs on the Microsoft Azure cloud and uses a banking-specific data model to deliver an easy-to-use customer engagement solution across every line of business. Unlock the power of intuitive UI, pre-built integrations, and machine learning in a customer engagement solution that deploys in 1/3 the time and at a fraction of the cost of traditional CRMs. The Buzz Points® next-generation rewards platform offers the most advanced customer engagement and loyalty program in the industry. Community banks and credit unions utilize the innovative platform to offer exciting rewards for profitable behaviors on credit cards, debit cards and account-based behavioral activities, all while improving customer engagement and driving revenue. For more information on how Buzz Points can help you become your cardholder’s preferred financial institution, visit www.buzzpoints.com. Community Financial Institution Solutions (CFI) are backed by First Data, a global leader in commerce-enabling technology, serving approximately six million business locations and 4,000 financial institutions around the world. First Data CFI Solutions go beyond standard payment solutions, offering technology-driven products backed by a white glove approach to service. Go Local Interactive is an agency specializing in localized digital marketing services for the financial industry. We create true partnerships with premier companies by providing the best digital marketing services that drive results. We’re experts in effectively implementing and tracking our customized solutions to the local level. Jane.ai makes every corner of the financial services industry accessible through chat, providing instant access to all the information both customers and team members need — whenever and wherever they need it. MeridianLink, developer of the industry’s first multi-channel account opening and loan origination platform, is a leading provider of enterprise business solutions for financial service organizations. People love a good story. And, when a place speaks, it gets them talking. At Nova, we thoughtfully design immersive and visual environments using graphics, digital and merchandising. We create memorable experiences that effectively tell your story, connect with your customers and share your brand with the world. NYMBUS provides the world’s most advanced revenue and technology solutions for today’s financial institutions. From SmartCore®, SmartDigital™ and SmartPayments™, our flagship digital technology platforms, to SmartLaunch™, our full-service and standalone digital brand alternative, NYMBUS enables financial institutions to digitally transform their businesses. SavvyMoney provides a fully integrated credit report and score solution for online and mobile banking. Your customers get actionable advice about their credit score, report and saving opportunities from pre-qualified loan offers. SavvyMoney’s analytics platform provides your financial institution with users’ credit scores trends, wallet share analysis, and targeted lending campaigns.